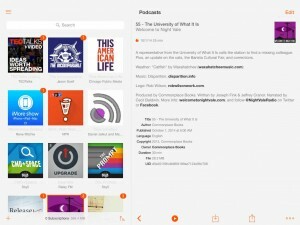 The latest and greatest major version of the popular podcast app Instacast has arrived. 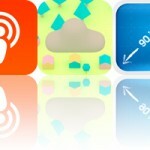 Improving on Instacast 4, which was released last year, it is, of course, called Instacast 5 and it features a number of significant enhancements. 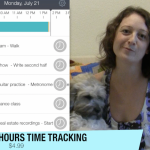 First and foremost, Instacast 5 boasts a redesigned media player. This offers direct access to chapters, saved bookmarks, and the Up Next queue. It can also be minimized by swiping it down, allowing you to continue listening through the Now Playing bar while browsing the app. Speaking of the Now Playing bar, it has also been revamped, particularly with the ability to pause and resume playback directly from it. 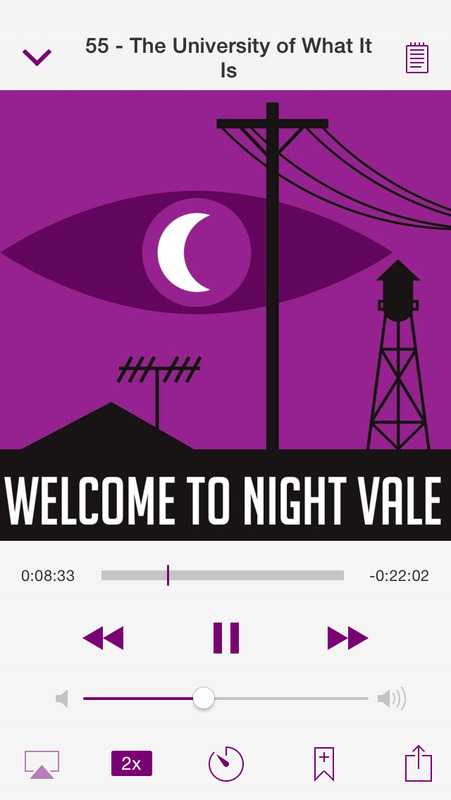 Instacast 5 also offers improved playback of video podcasts, with full-screen landscape support and media buttons redesigned so as not to obscure videos. 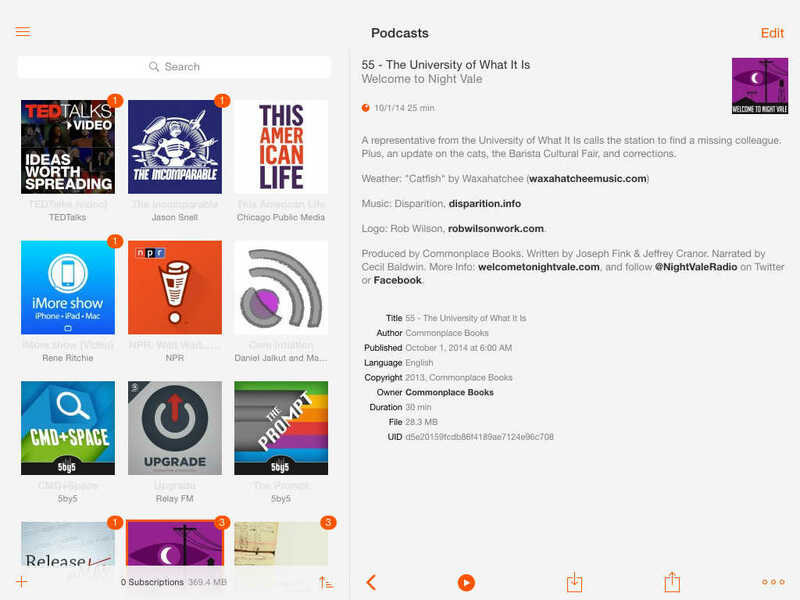 Instacast 5 also introduces the ability to search for podcasts by keyword and support for night mode, which can be set manually by shaking the device or automatically based on sunrise and sunset times. In addition, Instacast 5 has a lot more new features and improvements in store, including support for iOS 8 extensions, display optimizations for iPhone 6 and iPhone 6 Plus, and in-app management of Instacast Cloud account and membership. 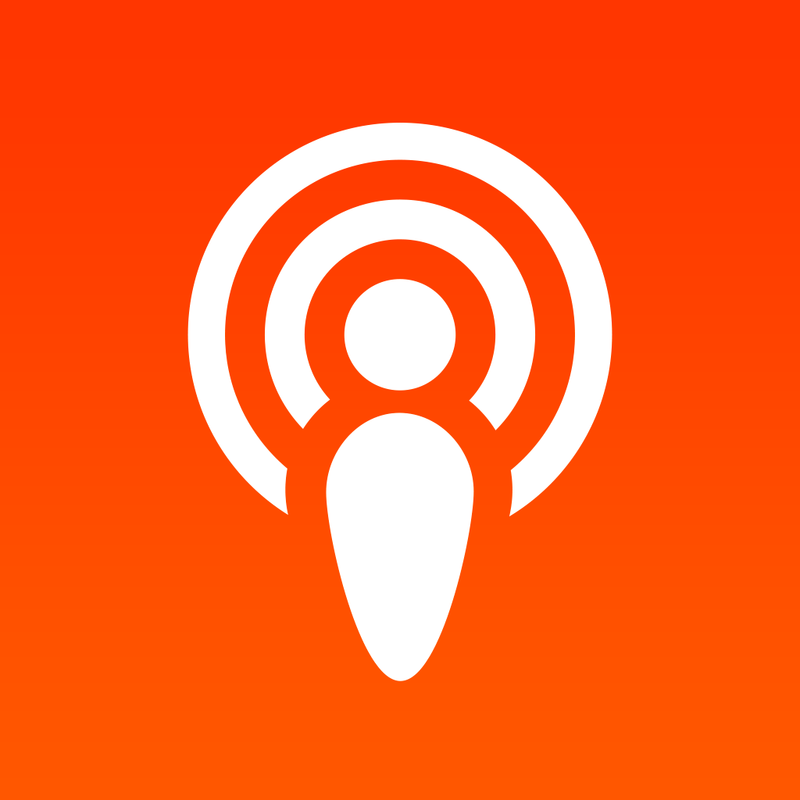 Optimized for iPhone and iPod touch running iOS 7.1 or later, Instacast 5 is available now on the App Store for free. Note that the new search and night mode features are available via in-app purchase for $0.99 each. But they’re accessible free of charge to Instacast Cloud members.